Successful Reforms: An outcome of Coalition? Achaleke is a Youth Development, civil society activist and a youth expert on peace building and fights against violent extremism with nine years of experience.He was born in 1990, in Fiango Kumba, Cameroon, a town renown for youth involvement in violence and violent extremist activities like; jungle justice, kidnapping, gangs, socio-cultural and religious conflicts, armed robbery, street fighting, just to name a few. Even though he was a victim of radicalisation and violence, he succeeded in transforming himself from an agent of violence to an Ambassador of peace and change. His past experience has widened his scope and approach in identifying and developing possible solutions to the challenges of youth development and causes of violence, violent extremism and conflict in Cameroon and across the world. He currently serves as the National Coordinator of a youth-led civil society organisation in Cameroon; Local Youth Corner Cameroon and Cameroon Youth Ambassador to the Commonwealth. He equally serves as the Pan-Commonwealth (Global) Coordinator of the Commonwealth Peace Ambassadors Network. Achaleke is a Non-resident Fellow of TREND institute in Abu Dhabi . He was recently named Most Influential Young Persons in Cameroon in 2016 and also named among 100 Most Influential Youths in Africa in 2016. 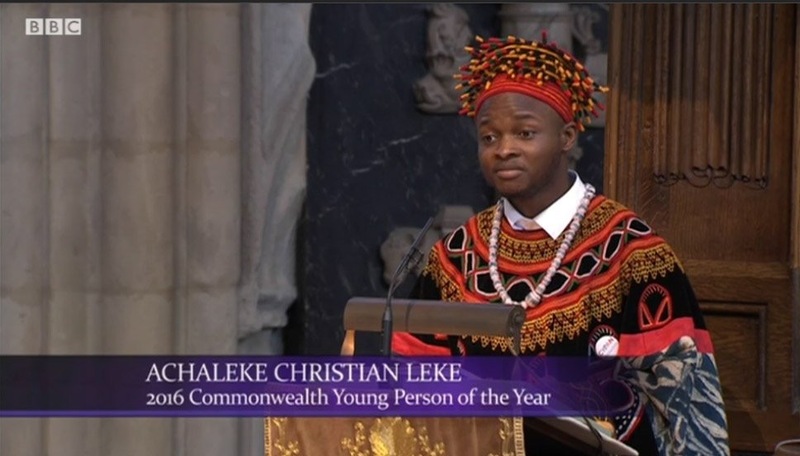 In 2016 he was named Commonwealth Young Person of the Year 2016 and winner of the Commonwealth Youth Award for Excellence in Development Work 2016. Achaleke currently a Chevening Scholars, studying an MSc in International Development (Conflict Security and Development) at the University of Birmingham, UK. In 2018 Achaleke was nominated to be the first African Youth to address the African Union Peace and Security Council on behalf of young people on the youth , peace and security Agenda . With the most recent terrorist attacks and rise in violent extremism in Cameroon and the world, Achaleke through his organisation and other affiliations is currently championing youth action for peace and preventing/countering violent Extremism. Through his organisation, he is providing intelligence information and possible best practices to government institutions and local communities on the drivers of violence and how to prevent and counter. He has developed training materials and visual aids to accompany his capacity building and training to train youth peace ambassadors and sensitise a wider audience. In his nine years of service to young people and communities, he has empowered and reached out to over one million young people through face to face and media programmes both in Cameroon and abroad. As part of his peace building strive, he has successfully incorporated rehabilitating, disengagement and reintegration of victims and perpetrators of violence into his work. Providing peace building, entrepreneurship, civic education, leadership and vocational skills to young people with a history of or engaged in violence and propensity to be recruited by Violent Extremist remains one of his most innovative strategies in the fight against violent extremism in Cameroon. Achaleke’s team spirit, commitment and approach to identifying and networking with other local organisation across Cameroon and the world has been of great help in shaping youth development and peace building initiatives in Cameroon. His story and achievements as a trainer, project coordinator, mentor, coach, policy drafter and innovator in the domain of youth development, peacebuilding, conflict prevention and security are a great inspiration and surely steps on the way to a long journey to inspire young people across the world. He is fortunate to be part of the UNOY Youth Advocacy team and process for the adoption of the United Nations Security Council Resolution 2250 on Youth, Peace. He has acquired wide experience as keynote speaker, facilitator, trainer, expert and policy development team of most national and international initiatives and platforms on youth development, peace building and countering violent Extremism. The last decade in the global development discourse has seen the popularisation of the term “inclusive” by donor agencies as an effective tool in political settlement and state building process. As an advocate for youth inclusion, the lecture on political settlements was very interesting to me especially that it captured the recently adopted sustainable development goals which I involved in the inception stage. Haven been part of this global discourse for inclusion and developing of global policies, as part of my career, I could best tell how to tell how important inclusiveness is important for a political settlement and state building. In its simplest form, inclusiveness could be seen as providing opportunities for other segments of the community who were originally excluded in a political process to participate in an existing process. This term got popularity due to the exclusion of youths, women and minority groups, in most political activities in most states. The call for inclusiveness has thus featured severally in most global policies and recommendations put in place by donor agencies and non-state actors. Unfortunately, in as much as the call for inclusiveness is recording huge acceptance across the world, scholars have argued that it is still facing major challenges especially in local communities. The patriarchal and conservative nature of most communities across Africa have made the inclusion of women and youths in the political process a no go area. As the old African adage goes; what an old man sees while sitting down, a youth can’t see even if he climbs the tallest tree. Perspectives like this have set a major block to the advocacy for inclusion in the political process. Nevertheless, the amplification of efforts to push governments and communities to move towards and inclusive process restores hope. For example, the mainstreaming of youth and women in the recently adopted Sustainable Development Goals, the adoption of a United Nations Security Council Resolution 2035 on women peace and security and the recent adoption of the Youth Peace and Security UNSCR is a symbol of hope for more inclusion of marginalised groups in the state building process. Following Francis Stewarts breakdown of the impact of inequalities within a state building process it clearly points out the importance of inclusiveness. It is worth mentioning that many literatures on the causes of violent conflict and rise of violent extremist groups highlight exclusion, marginalisation and inequalities as major push factors. The Political Instability Taskforce claims on state failure greatly builds on these impacts of inequalities. 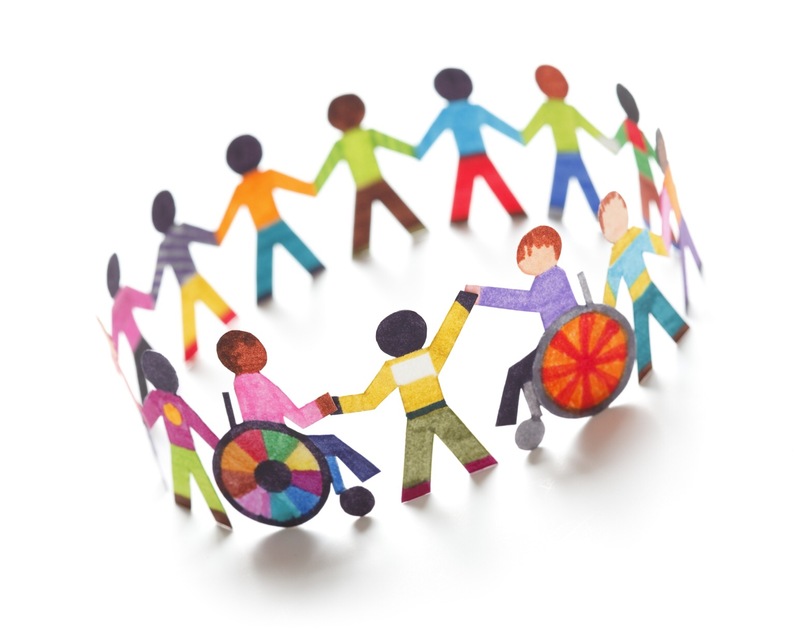 Notwithstanding, the term inclusiveness has been greatly argued and criticised for being too vague. Scholars argue that political settlements are very sensitive and strategic and who to include is usually of prime importance. Thus they hold that a more feasible roadmap should be developed regarding inclusion. In a nutshell, as Acemoglu and Robinson asserted, the capacity of a state to rely on an inclusive political process holds the key to the building of a strong state. Sate building is a collective process and not a process only for the political elite or only one segment of the population. The growing quantitive and qualitative evidence surrounding the role of marginalised groups such as youths and women goes a long way to strengthen the claim that inclusive political process is the key to sustainable state-building. Stewart, F. (2002). Root Causes Of Violent Conflict In Developing Countries. British Medical Journal, Vol. 324, No. 7333 (Feb. 9, 2002), pp. 342-345. http://www.jstor.org/stable/25227415. Stewart, F. (2002). Horizontal Inequalities: A Neglected Dimension of Development. Working Paper Number 81 . Queen Elizerbeth House : Oxford University. United Nations Security Council (2016). UNSCR 2250 on Youth Peace and Security. New York : UNSC. Who could imagine in the post-independence days in Africa that there would come a time where women would lead a country in Africa? In 2005 Ellen Johnson Sirleaf was voted the president of Liberia, the first ever female president in Africa. Scholars and female right activists viewed her emergence as a bold step and big signal for a new era of politics in Africa. Interestingly, this module was covered through a video documentary of Ellen Johnson’s first year in office as president of Liberia. Recovering from a long period of civil war caused by bad leadership and governance, voting a first female president in Liberia was the only hope the people had. Within president Johnson’s one year of leadership, Danil Junge a movie producer termed her the “Iron Lady of Liberia”. This title was incontestable as from her first day in office, she was bent on promoting the role of women, fighting corruption and personally handling affairs of national interest. Most Liberians describes her leadership as the one thing that has made their lives different and given them hope to move on despite the harsh economic situation in the country. In her inauguration speech captured by Daniel’s documentary, the then president-elect said “Fellow Liberian, the days of the imperial presidency of a domineering Chief Executives are over “; what a comforting word from a mother and indeed an iron lady. Watch Danil Junge documentary; The Iron Ladies of Liberia for more information on the leadership of President Ellen Johnson. As the energy of female leadership spread across Africa, in 2012, Joice Banda taken to office as the second female African president broke the ice of female leadership in Africa. Joice who is popularly known for her servanthood leadership qualities has continued to build the inspiration and push for more women in political leadership in Africa. Another major success in female leadership in Africa was the emergence of Nkosazana Dlamini-Zuma as the Head of the African Union. Nevertheless, it is worthy to note that this female breakthrough in the political space started in the 1980s in Africa, with the rise of women emancipation movements, call for women to vote and be voted and the call for an increase in the quota of women elections into parliament. Is two out of fifty-three presidents in Africa a good sign for the rise of women in power? This is the question is asked myself. Paxton et al. (2005) argue that Africa’s patriarchal culture where it is perceived that men should lead while women should be in charge of the kitchen and children has reportedly been a major reason behind this uneven representation of women in political leadership in Africa. This perception I must say is still living . A clear evidence of this was the shocking speech made my H.E President Mohammed Buhari during a press conference on his state visit to Germany. President Buhari shamelessly highlighted that the role of his wife is in the rooms and kitchen. His speech sparked an uproar across the globe with comments condemning his perspective of the role of women. Come to think of it; if this could come from the mouth of a Head of State who is expected to be a symbol of hope for inclusion and women’s right, what do you think a layman on the street will be thinking? I believe the eradication of this mentality will mean a total takeover of the political space in Africa by women. In conclusion, hope for more women in leadership positions in Africa strengthens by the day. Despite the numerous challenges, the success of the few women who have gained power is gradually destroying the myth that woman not qualifies to lead. The increase in the quota of women in government in most African states is a sign of hope. Notwithstanding, positive initiatives such as the He for She campaigns need to be promoted to raise awareness of the rights of women and break stereotypes. Adams, M. (2008). Liberia’s Election of Ellen Johnson-Sirleaf and Women’s Executive Leadership in Africa. Cambridge Core Critical Perspectives. Gottlieb, Jessica; Grossman, Guy; Robinson, Amanda Lea (April 2016). “Do men and women have different policy preferences in Africa? Determinants and implications of gender gaps in policy prioritization” British Journal of Political Science <http://dx.doi.org/10.1017/S0007123416000053. Inter-Parliamentary Union (2017). “Women in Parliaments: World Classification” http://www.ipu.org/wmn-e/classif.htm. ipu.org http://ipu.org. Accessed MaMarch017. Paxton, Pamela; Kunovich, Sheri L. (2005). “Pathways to power: the role of political parties in women’s national political representation” American Journal of Sociology. <https://doi.org/10.1086/444445. The inability and failure of states to provide essential services and meet her part of the social contract within a country have accounted for the growth of non-state actors in most states, especially in developing countries. The weakness and failure of the state have led to her illegitimacy in the eye of her people, and in most cases lost control over some parts of her territory. Non-state actors emerge as a result, marginalisation, frustration of the failure of the state, the need to survive and provide solutions to the failure of the state. Vox in a documentary on the rise of Boko Haram in Nigeria Explains the connection between the failure of a government and rise of a non-state actor. Dr Perera, the module convenor in her reflection of his research experience in DRC highlighted two major groups of non-state actors; the violent and non-violent non-sate actors. Violent non-state actors include rebel or military groups. Before this module, I had never imagined that violent groups such as Boko Haram could be considered a non-state actor. I later understood that was a naive thought I was bearing all along. In the case of the DRC there exist over 70 armed groups some of which have total control and provide basic services in some parts of the country. On the other hand, non-violence non-state actors include; traditional institutions, NGOs, INGOs, CSOs and religious organisations. For example in the Kivu provinces, of Congo, the majority of educational and health services is provided by religious institutions than the government. Non- state actors have the potential of either destroying or contribute to the building of a state. Within this discourse, most violent non-state actors have turned to contribute to the destruction and ravage of a state rather contributing to the success. The case of Boko Haram in the Lake Chad region of Africa has led to over 7,512 casualties in Nigeria and approximately 2.3 million people displaced (Council on Foreign Relations 2016). Evidence like these strengthens a growing debate of whether non-state actors like these are different from the governments they criticise. Most of these armed groups turn to affiliate themselves to the government, fight against each order, engage in bribery and corruption and most recently in terrorism. Nevertheless, from a non-violent non-state actor lens, I see hope and capacity to make Africa a better place. As a young Cameroonian, I had the experience of studying both in a state-owned school and a privately (missionary) owned school. The quality of the education in the private school over the state-owned school was so vast. Quality education is a jewel for building strong states across Africa. These institutions go a long way to provide a source of employment to thousand of families, improve on infrastructural development in most countries. These contributions by non-state actors provide tangible and feasible solutions to the failures of the state. Cardinal Laurent Monsengwo, the Archbishop of Kinshasa in the Democratic Republic of Congo in an editorial on Crux reafirmed that Chruches in Africa substitutes the failure of governments in playing their role. Read more about this editorial here . In recent time, the involvement of youth as non-state actors through civil society has been a significant push within the role of non-state actors in state building. In most of these failed state, young people makes up over 70% of the population and of course are greatly hit by the challenges of a failed state. Non-violent state actors are very instrumental and necessary in a sustainable state-building process. Their ability to complement state in providing basic services and fostering peace and coexistence is very important. As convincing as the role of non-violent state actors has been in the state building process, Perera (2015) argue that the presence of non-state actors might instead contribute to destroying the legitimacy of the state in the eyes of her citizens. This may rather contribute in fragilizing the state than contribute in building the legitimacy of the government in place and authority over her people. From a personal perspective, I believe the role of non-state actors is very instrumental in the state building process. Governments and the international community should provide more support and recognition to these non-state actors, especially the non-violent once. Their contribution holds the key to sustainable state-building in Africa. Nevertheless, the ability of the government and the international community to support and recognise these non-state actors remains very relevant and important in building the state and promoting sustainable development. Weinstein, J. M. (2006). Inside Rebellion : Politics of insurgent violence . Cambridge : Cambridge University Press. Generally, reforms have come with a misconception of it being an act with a positive change which happens in an institution, policy or sectors. I personally had this misconception up until the weeks 6 lectures of Development politics where the module convenor mentioned the Structural Adjustment Economic reforms and its devastating effects on some developing countries. Nevertheless, during this module, I picked up four questions which I will be reflecting on, based on the Myanmar and USA examples. What are reforms? How are reforms made? What makes a reform successful reform? And finally What are the challenges of a successful reform? With the rise of democracy across the world, reforms within states remain one of the major tools of state building process. Reforms for over decades have been an outcome of a coalition between the executive arm of government and policy, and or a civilian-led and advocacy coalition. Nevertheless, these two forms empirically have always followed the same path at the end of the process. Reforms are usually made with the aim of “fixing thing” or providing a better solution to a problem. Examples of reforms include the 2010 Myanmar reforms; with the widely known telecommunications reform. As a personal experience of reform, I witnessed the 1990s one party system to multi-party system reform in my country Cameroon. In my curiosity during the lectures, I kept asking myself how are reforms made? With these stages in mind, my next point of worry was what makes a reform successful? Reflecting on the Myanmar telecommunication reform, the module convenor introduced the concept of reform coalition as a major determinant of the success of a reform. Peiffer (2012) defines reform coalition as a process where state and non-state actors work collectively to pass a reform. For example, the success of the Myanmar telecommunication reforms was largely attributed to the sound coalition developed by President Thein Sein with international and national businessmen, elites and members of opposition parties. These reforms led to an increase in investment, expansion of communication network and access to mobile phones; as reported by Mrtv English Channel in Myanmar. Nevertheless, despite my optimism about reforms, my greatest worry lies on the implementation and sustainability of reforms. Replacing an old reform by new reform is usually challenging as it takes a long time for people to get adapted to the new. Equally, sustaining the reforms and meeting the growing expectations on the reforms remain a great challenge. In the case of Myanmar, the implementation of the telecommunication reforms as highlighted by the Myanmar Dialy News is challenged by conservative cultures, lack of access to most parts of the country and corruption. In conclusion, from a personal understanding of the week’s lectures, I think building a strong coalition is a major determinant of the success of a reform. Nevertheless, this does not cancel the truth that most of these reforms may turn to face a lot of challenges and may lead to negative impacts on the masses. A reform would hardly be 100% accepted as well as successful. State Legitimacy : An outcome of Service Delivery in a Fragile State ? The relationship between the legitimacy of a state and service delivery has been a major aspect of debate among most government structures, international organisations and scholarly publications. The expansion of capitalism and democracy across the world has made the concept of the relationship between a government and her citizens very relevant in the state building process in fragile states. Reflecting on this topic, my first thought of the relationship between a state and its citizens was on how the state was formed in the first place.Was it through a democratic process as is the case in most countries or a process generally accepted by the citizens? Well, I think this will be the subject of a future blog post. Around this discourse, most governments believe that the sustainability of their legitimacy greatly relies on the ability to deliver services to her people. Can they be missing something ? As a young Cameroonian growing up in a questioned democracy, the inability of my government to effectively provide basic goods and services which is their duty to provide has destroyed the respect and trust which many Cameroonians had for the government. These responsibilities of governments over her citizens are what Socrates and other scholars termed the social contract. Evidence provided by scholars such as Collier (2000) argues that the failure of a state to provide services contributes to the illegitimacy of state and the subsequent outbreak of violent conflicts and fragility of the state. With this evidence in mind, could one assume that service delivery provides legitimacy and peace within a state? Drawing from OECD (2008), services are visible and tangible expressions of the good works of a state to its citizens. Due to the complex political and governing system of most countries especially in Africa, the citizens usually do not care about anything else than the ability of governments to provide jobs, water, electricity, roads and many other services. In my personal experience, I remember as a kid when the first tarred road was constructed in my community, we were so happy and one could here chanting of the name of the president and making pledges to vote and support the government. I think this is the short – term enthusiasm which most communities across Africa expresses. I call it short-term because the sustianability, quality and mentainance of these services will determine how long the people will chants songs of praises and trust the government . Contrary to the perception that service delivery is equal to legitimacy as has been argued by most scholars, Mc Loughin (2014) from his research on Sri-Lanka argued that these two concepts are not directly related.As I highlighted in my first paragraph, I believe the whole journey of a legitimate state begins from how the state was created. For example, in the case of the United States, just because of the fact that, President Donald Trump was elected through the Electoral College system, supposed links of Russian hack and his attitude problem, most American find him and his government illegitimate. No matter the services he provides, his government is seen as a fraud, sexist and racist. Building on this, the Fletcher School in a research highlights that the ability of a state to uphold aspects such as political participation, respect for human right, security and good governance is as important as service delivery in building the legitimacy of the state. A good example is the case of Cameroon where , the governments’ use of force , human rights abuses and abirtrary arrests , in handling the recent Anglophone crises completely deligimised the state and undermined all services which the government has ever provided to English speaking Cameroonians . Similarly, McLoughlin also argued that, providing services without taking into consideration specific aspects, might instead lead to discontent of the people against the state than building legitimacy. How does this happen? Scholars argue that providing services without taking into consideration the following might lead to illegitimacy instead. In conclusion, in as much as service delivery is very important in ensuring the legitimacy of a state, I believe the Fletcher School’s approach of building legitimacy is more appropriate. A government that ignores governance, political freedom, human rights and context of community and rather relies on providing services, might turn to be hated by the civilians and of course lead to the escalation of violent conflict. Equally , I believe any government who relies on the providing services without considering the seven points of Mcloughlin might just be building a breeding ground for discontent, extremism , and potential outbreak of civil unrest and insecurity . Collier, P. (2000). Doing Well Out of War: An Economic Perspective, in Mats Berdal & David, M. Malone. (2000), Greed and Grievance: Economic Agendas in Civil Wars. Boulder, M. (eds). London: Lynne Rienner (91–111). Are governments created through elections be considered a democracy? The label of “undemocratic” which has been used by my western countries on most African state despite their organisation of a free and fair election remains a major debate between most African states and their Western allies. Robert Mugabe of Rwanda in most instances has questioned the labelling of his government as undemocratic despite the fact that he is voted by his people. Could it be that the type of democracy implemented by most African country has a different nomenclature? Could it be that the proponents of the word democracy expect more from the state than just organising elections? Or could it be that the West in expecting African states to run faster than their shadow in their quest for a democratic world? 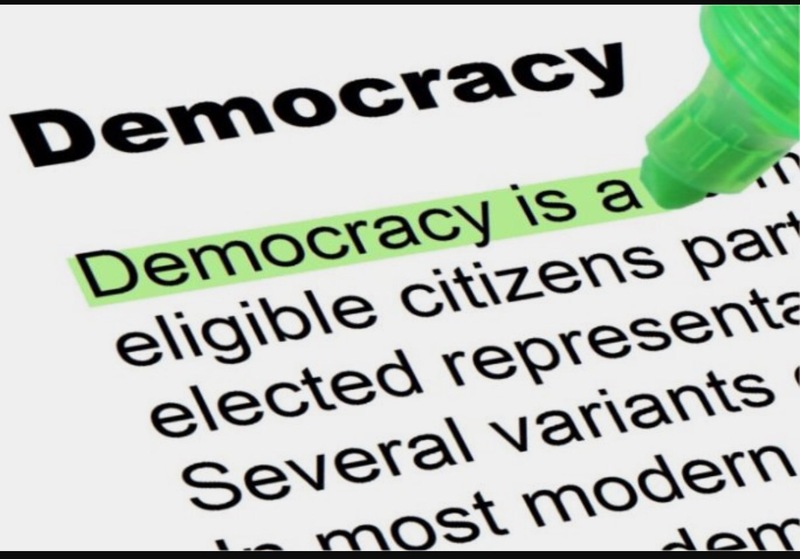 During my third lecture of the development politics course, I finally found the right term which describes the type of democracy which is centred typically on elections of government; “illiberal democracy”. Illiberal democracy clearly answers my first question posed in my previous paragraph. A system of government which is based typically on elections does not disqualify it from being termed a democracy. Huntington (1991) in this same regard reaffirmed that, the organization of a free and fair elections within a government despite that fact that the government violates the rule of law, limit citizens freedom, and violates human right, does not make it undemocratic because it meets one of the aspects of democracy and of course democracy is a process. His arguments went on to collide with my thoughts when during the lectures, I found out that, before the 20th century in Europe, most of the countries where practising an autocratic system of democracy where the voting by the people was on the other hand suppressed. Most African countries are just between 50-60 years old after independence, expecting them to fully embrace democracy like the United States which is over 200 years old might be a push for African states to run faster than their shadow. Larry Diamond’s perspective of democracy being a process which state walk up to, clearly affirms my thoughts. Nevertheless, the claims by most illiberal democracies of being democratic have been questioned.The freeness and fairness of elections in most of these electoral democracies have been subjected to many debates. In most instances in Africa, these elections have been reported to be rigged by the incumbent presidents. For example, In the 1990s, after President Paul Biya of Cameroon introduced multi-party politics as his commitment to promoting democracy in the country, the subsequent elections in 1992 was reported to have been rigged after his ruling party CPDM was openly defeated by the newly created SDF opposition party ( Ngoh 1996 ). This sparked serious crises within the country, which was later, solved through aggressive military actions, which characterised by the violation of human rights, mass killings and subsequent change of constitutions. This is the same case in Angola where Eduardo dos Santos uses his implementation of multi-party politics to solidify his “ hegemonic project “ of the MPLA party. Messiant (2007), highlighted the fact that the elections organised in Angola for over the years have been plagued by election rigging and malpractices. During the lectures, I came to a conclusion; a government which relies only on the election but violates human rights, civil liberty, the rule of law and many others is not democratic. What makes an election democratic even when the elections are rigged? I believe Larry Diamonds’s four elements of democracy greatly appeal to my definition of a democratic government; government selected through free and fair elections, active participation of citizens in political and civil life, uphold human rights and respect the rule of law. I believe this are the qualities necessary for a government to be termed democratic. Nevertheless, after reading literature reflecting on democracy from both the western countries like the US and in developing countries like Cameroon, I noticed their democracies are stilled plagued with almost the same challenge. Just as I worry about the unfair and unfree nature of election in my country, American as well complain about the same thing. The power of the electoral college over the votes of the American people and the Report of Russian manipulation on the recent US elections kept me worried. Now I ask myself, can there be a perfect democracy? Diamond, L. and Morlino, L., (2016). The quality of democracy In Diamond, L., In Search of Democracy. London: Routledge. Huntington . S.P. (1991). Third Wave Democracy: Democratisation in the 21st Century. United State: University of Oklahoma Press. Ngoh. V.J. (1996). History of Cameroon Since 1800. Pressbook . Zakaria.F. (1997). The Rise of Illiberal Democracy. Foreign Affairs: 76(6). Page 22.